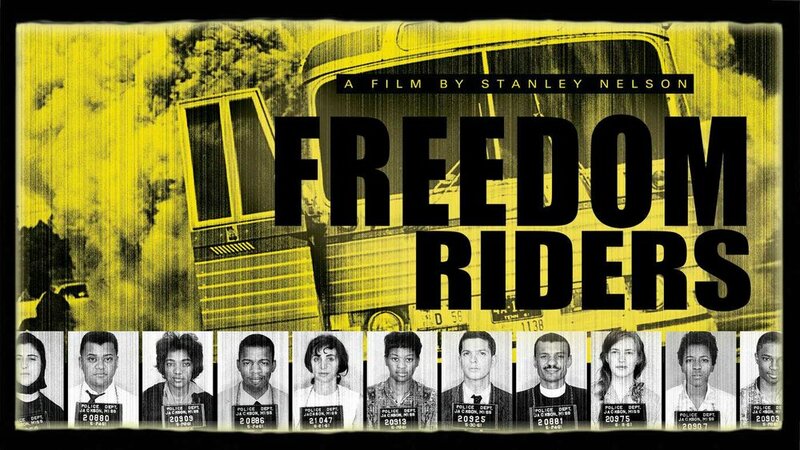 The Polk Museum of Art at Florida Southern College is pleased to present a free admission full-length screening of the acclaimed Freedom Riders film on Saturday, April 13, from 2-4 pm. This 120-minute American historical documentary directed by Stanley Nelson for the PBS American Experience is based in part on the Freedom Riders: 1961 and the Struggle for Racial Justice book by historian Dr. Raymond Arsenault. It first aired on May 16, 2011, to honor the 50th anniversary of the first Freedom Ride in 1961. The film chronicles the story of the hundreds of civil rights activists known as the Freedom Riders, who challenged racial segregation in American interstate transportation facilities during the Civil Rights Movement. The activists traveled together in small interracial groups and sat whereever they chose on buses and trains to compel equal access to terminal restaurants and waiting rooms. They brought the ongoing practice of racial segregation in the southern United States to national attention and inspired many other non-violent civil disobedience activists who followed. For more details, contact Adult Programs Manager Laura Putnam at 863-688-7743 ext. 288 or lputnam@polkmuseumofart.org. This program is supported in part by a grant from the Florida Humanities Council, with funds from the National Endowment for the Humanities.